John Sawyer is a busy man in Middletown, Ohio. John Sawyer currently owns and manages a 15 agent office at that same location. In 1938, B.F. Sawyer and J. D. Sawyer started with three other sales agents in a small office on Central Avenue. 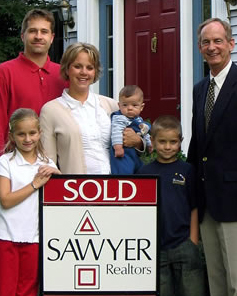 Sawyer Realtors have developed some of Middletown's nicest neighborhoods including "Sunset Hill" (across from Wildwood Golf Club), upper "Milton Road", "the Poinciana" , "Hampton Place", and "Manchester Meadows." Currently, John's company is still developing single family homes in Manchester Manor, plus "The Woods" condominium project.